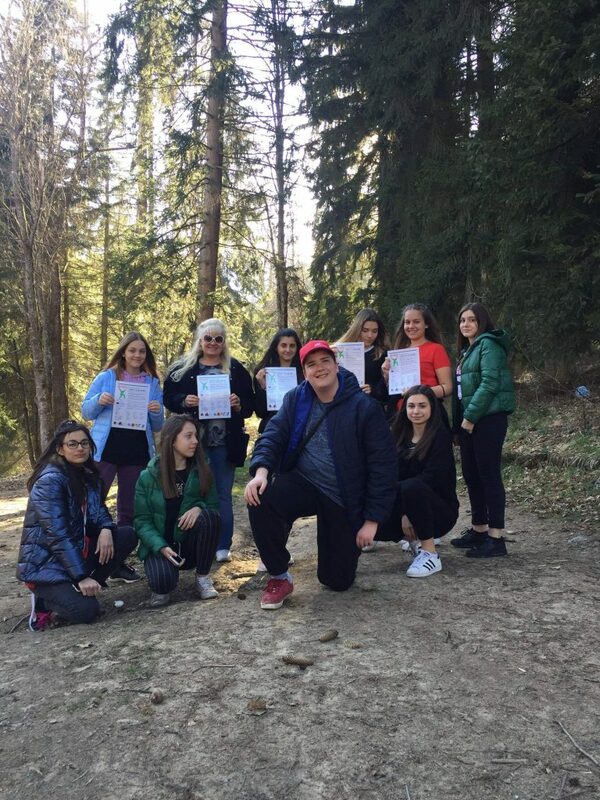 On 23 March 2019 we conducted the fourteenth workshop with students from the VIII-th grade of “St. Paisii Hilendarski” Secondary School – Plovdiv, who were on a trip in the town of Chepelare, Bulgaria. Among the participants there were students from remote areas, students with visual impairments, with internal disabilities, as well as students without disabilities. 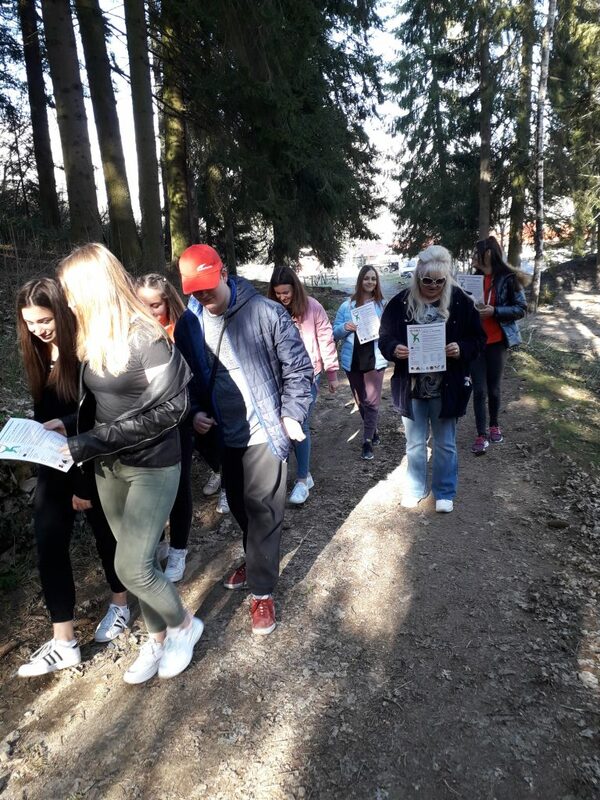 At the beginning, Mrs. Ikimova reminded the project’s goals to the participants and invited them to implement them in that tourism activity in Chepelare, which is situated in a mountainous area in the Rhodope Mountains and with its 1232 m altitude is the second highest city in Bulgaria. The event was organized and held by Ms. Ikimova, an English language teacher. At the hotel we gave directions for the upcoming occupation and we set out on the route that had been determined in advance. None of the children gave up on tourism. We made two breaks and reached our destination. Some of the disabled children lagged behind the others, but even moving slower than the other students, they managed to reach the ultimate goal. All the participants had fun all the way along the path to the endpoint and back. The fresh air, the good weather and the team spirit helped to successfully integrate the children with disabilities. Tolerance, understanding, support and mutual assistance were observed in all the participants. Everyone returned to Borika Hotel, where we were staying, glad and happy, expressing a desire to participate in a similar workshop again. The objectives of the project were achieved. The event was organized by Mrs. Grudeva and Mrs. Ikimova as the fourteenth workshop within the project, aiming to raise students’ awareness of the benefits of sports.